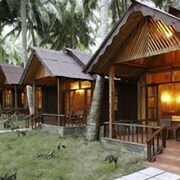 This Havelock Island resort is on the beach, 0.6 mi (1 km) from Kaala Pathar Beach, and within 12 mi (20 km) of Radhanagar Beach and Elephanta Beach. 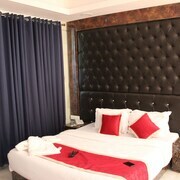 Situated in Havelock Island, this hotel is within 1 mi (2 km) of Elephanta Beach and Radhanagar Beach. Kaala Pathar Beach is 8.1 mi (13.1 km) away. 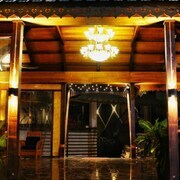 This Havelock Island hotel is on the beach, 2.6 mi (4.1 km) from Kaala Pathar Beach, and within 6 mi (10 km) of Radhanagar Beach and Elephanta Beach. Situated in Havelock Island, this hotel is 1.2 mi (1.9 km) from Kaala Pathar Beach and within 9 miles (15 km) of Radhanagar Beach and Elephanta Beach. 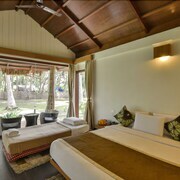 Nestled on the beach, this Havelock Island resort is within 6 mi (10 km) of Kaala Pathar Beach, Radhanagar Beach and Elephanta Beach. 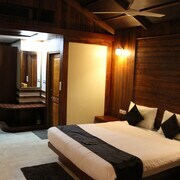 Situated in Havelock Island, this hotel is 2.8 mi (4.5 km) from Kaala Pathar Beach and within 6 miles (10 km) of Radhanagar Beach and Elephanta Beach. 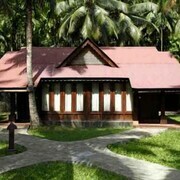 Explore Havelock Island with Expedia's Travel Guides to find the best flights, cars, holiday packages and more!